It’s fair to say there has been a mixed reception for the new NVIDIA RTX 20-Series graphics cards, on the one hand they offer true next-gen features and blistering gaming performance and on the other hand, they each arrive with a gigantic price-tag and a huge outlay which is outside of many gamer’s budgets. In our quest with this new series of graphics cards, our next offering takes the form of the highly revered ASUS ROG STRIX RTX 2080 Ti OC Edition. 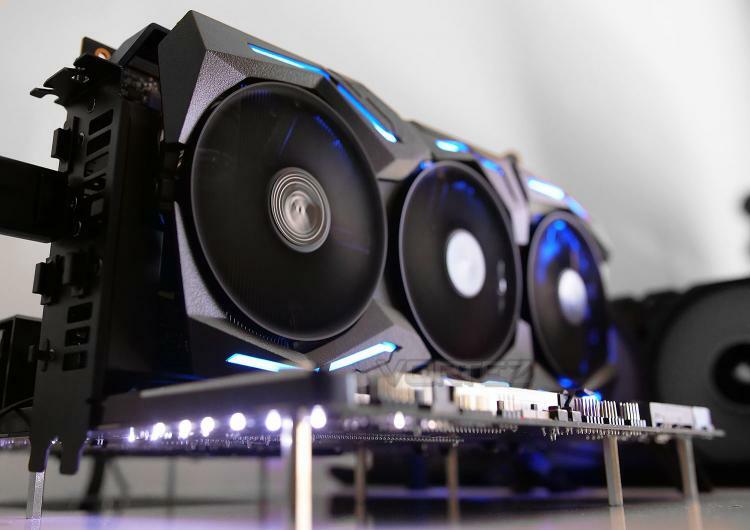 As its name suggests, this RTX 2080 Ti is factory overclock – the GPU boost clock out of the box sees it hit 1665MHz, while the memory has been left untouched. Along with a nudge up in performance we also receive a triple fan cooling design which the ROG team has revised somewhat; we can now benefit from Axial-tech Fans. An offer of low-noise and low-temperatures is on the table, along with the ability to adjust each fan’s speed via GPU Tweak II software. With even more features to explore – let’s move on and take a look at this monstrous offering! The ROG Strix GeForce® RTX 2080Ti teams up NVIDIA®'s A-list GPU with an elite cast of specialists, setting the stage for epic gaming action. Gargantuan power delivery provides the muscle to push overlocking boundaries, while cooling that's honed to perfection keeps the spotlight squarely on Turing™'s performance. And with an arsenal of utilities that allow you to customize and tweak this extreme hardware, you call the shots.